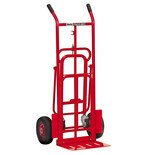 The CST2BFP has an extra long toe plate for moving large or long loads. 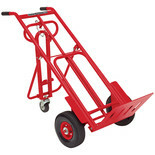 It also comes with 265mm puncture proof tyres for ease of use over uneven surfaces. 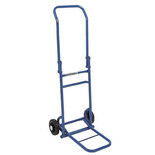 This heavy duty sack truck with extending toe plate is ideal for tough daily use in many different domestic and commercial locations including warehouses, factories and shops. 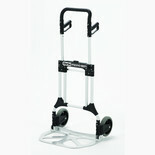 The CST2B has an extra long toe plate for moving large or long loads. 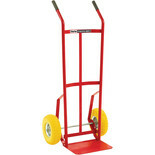 It also comes with big 10" pneumatic tyres for ease of use over uneven surfaces. 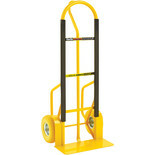 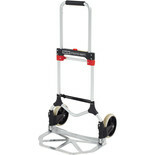 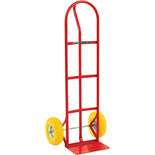 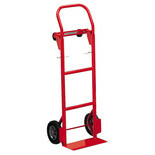 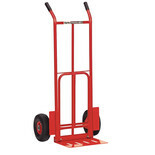 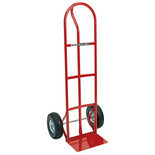 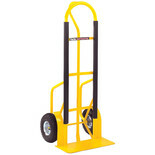 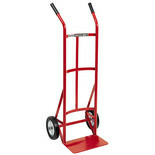 This versatile truck can be used as a sack truck or folded down as a 4 wheel trolley for heavy loads. 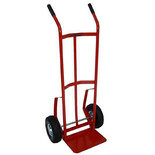 A conveniently fully folding sack truck developed for tough, daily use in numerous commercial & industrial premises including factories, shops & offices. 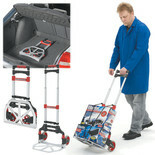 Handy for home use too!